After Sony's explosive conference revealing their next step into the console era, it's no secret that the gaming world is expecting Microsoft to answer back with their rendition soon. Today, further proof has surfaced that the next gen Xbox will have an announcement soon. XboxEvent.com, found by Neogaf user Ekim, suggests that Microsoft are poised to hold an event, outside of E3, to reveal their next gen console. 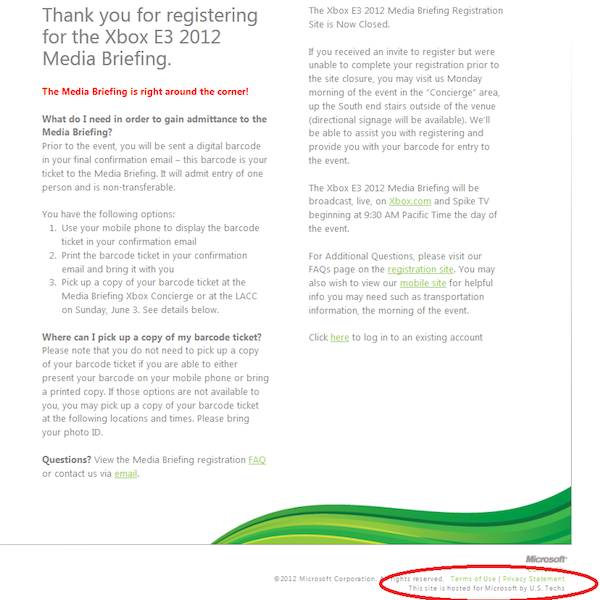 The domain was registered by none other than EventCore; most popularly known for organising Microsoft's E3 press conference. As of now, Microsoft are yet to come out with an official statement, but all signs point towards Microsoft holding an event in the coming months!